Anton Struyk's House Of Blog: Fiberglassing! So progress continues, but slowly. I did some work on the plane during some time I took off a few weeks ago, I'll let the pictures do the talking. 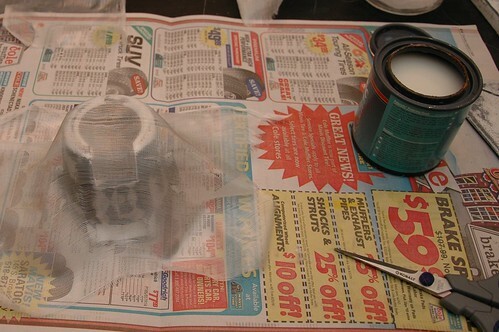 First thing I started on was putting some fiberglass on the detached section of the engine cowling. 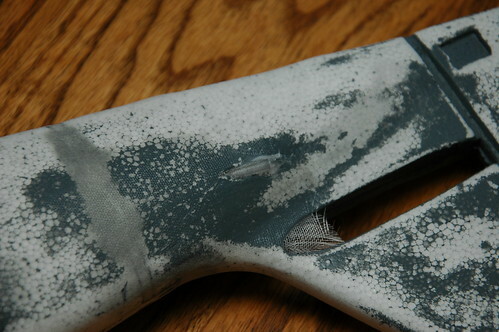 This was the first fiberglass I've ever tried to apply, and all things considered I think it went pretty well. 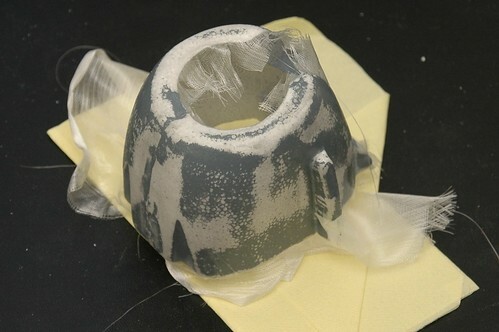 I used 0.75oz fiberglass cloth and Minwax polycrylic. 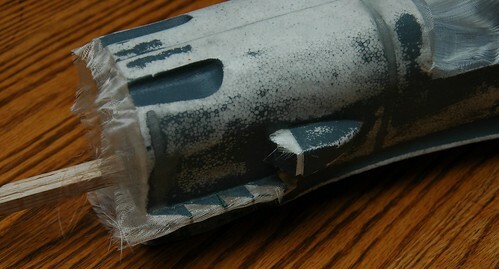 In the picture above, you can see the texture that the fiberglass adds to the nosecone. After letting the nose cone dry for a few hours I would apply another layer of minwax to fill in the weave of the fiberglass. 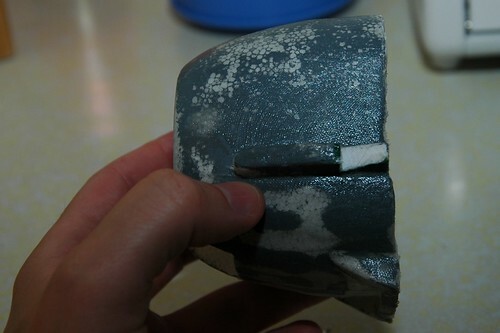 The next day I sanded and did another layer of minwax. Next I moved on to fiberglassing the fuselage. 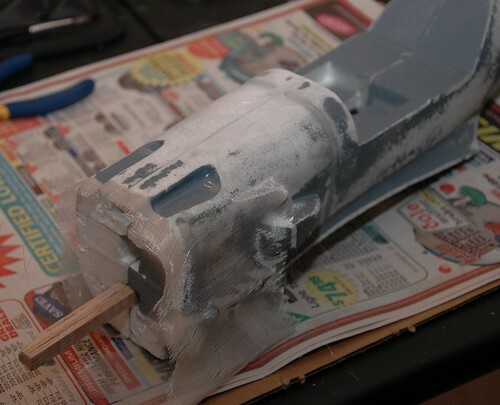 I followed the same basic process (two coats of minwax on the first pass, then sanding and some more) for the fuselage. In the next shot you can see the way that I covered the control rod tubes. I'm hoping that they'll blend into the body a little bit and not be so obvious.